Integrated Communication is partly present in South Africa, whereas in Europe and the United States many Integrated Communication Models have been implemented. With a fast-growing economy and upcoming events such as the 2010 Soccer World Cup, there couldn t be a better time for South Africa to implement efficient communication models in companies. This would help to achieve a better flow of communication and a greater understanding of the relevant markets. This book deals with intercultural values in the advertising industry of South Africa, specifically in the Western Cape. 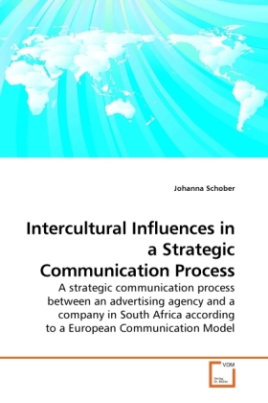 In addition, a strategic communication process in a South African advertising agency and a South African company are examined against the integrated communication model by the European expert. The central questions ask: Are there differences in the case study to the communication model by Bruhn? What are they and why are there these differences?